In all fifty states, whenever someone’s death is the result of the negligence of another person or persons, the surviving family members are usually entitled to sue for damages from the person or persons who were negligent. These claims for damages are called “wrongful death” cases. What do surviving family members have to prove in order for an unjustified dying lawsuit to prevail? This is a general overview of what’s required, but if you are or become the survivor of a wrongful death victim, you’ll need to discuss the specifics of your own case with an experienced wrongful death attorney. No matter how a wrongful death takes place, if someone’s negligence is the reason for that death, the negligent person may be held accountable through a wrongful death lawsuit. A wrongful death claim is a civil lawsuit for financial damages. A civil case is very different – an entirely different type of procedure – from the criminal charges that a prosecutor or a district attorney may pursue against the same individual. Criminal charges potentially lead to a criminal conviction and criminal penalties such as fines and incarceration. However, a criminal prosecution does not award damages to any of the surviving family members after a wrongful death. Monetary damages can only be acquired by surviving family members through a civil wrongful death lawsuit. The person who files a unjustified dying claim is usually – and in some states must be – an immediate family member who pursues the lawsuit on behalf of all of the survivors. 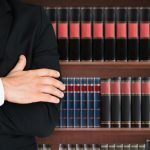 The person who brings a civil lawsuit is called the “plaintiff,” and in a wrongful death case, the person accused of the negligence leading to a wrongful death is called the “defendant.” In a wrongful death case, the plaintiff is typically an immediate family member, but if the deceased person had a will, in some states, judges may name an executor or personal representative of the estate; that person becomes the plaintiff and pursues the claim for the surviving family members. WHAT MUST SURVIVORS PROVE IN WRONGFUL DEATH CASES? A duty of care existed: With the help of a good wrongful death lawyer, a plaintiff must demonstrate that a defendant “owed” the deceased person what the law calls a “duty of care.” A doctor, for example, must meet certain professional standards to avoid malpractice. Drivers legally “owe” other drivers an obligation to adhere to traffic laws and to avoid negligent driving. The duty of care was breached: Secondly, plaintiffs must prove that the duty of care was breached. A driver who drives while intoxicated or a doctor who fails to satisfy accepted professional standards are both probably breaching their duty of care to others. 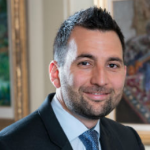 The breach of duty caused unjustified dying: Even if a duty of care was breached, to prevail with a wrongful death claim, the plaintiff’s side must prove that the breach of the duty of care was directly responsible for the wrongful death. If no injury results from the breach of the duty of care, then legally, there are no grounds for a claim. 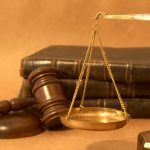 WHAT IS THE BURDEN OF PROOF IN A WRONGFUL DEATH CASE? In a criminal trial, a defendant can only be convicted if a prosecutor can prove guilt beyond a reasonable doubt. However, in a civil trial such as a wrongful death case, the burden of proof is slightly lower. In civil trials, a “preponderance of the evidence” is enough for a civil lawsuit to prevail. In other words, if it’s “more likely than not” that the defendant had a duty of care and breached that duty, directly causing wrongful death, the plaintiff will prevail. However, if a plaintiff in a wrongful death case fails to satisfy the burden of proof for any of the three elements of negligence, the plaintiff will not recover any wrongful death damages. But trials are actually quite rare in wrongful death cases. Like most lawsuits, unjustified dying lawsuits in California are usually resolved in out-of-court, pre-trial negotiations between the attorneys for the two sides. However, when no out-of-court agreement can be reached, a wrongful death case will be tried in court, and surviving family members in Southern California will need the advice and services of a seasoned and experienced Pasadena personal injury attorney. In a civil trial, the law in California says, “the jury shall consist of 12 persons or a lesser number agreed on by the parties in open court.” In civil cases in California, a jury verdict requires 3/4ths of the jurors to agree. WHAT HAPPENS BEFORE A WRONGFUL DEATH TRIAL? Although unjustified dying trials are infrequent in California, a good wrongful death lawyer prepares for the possibility of a courtroom trial from the beginning. What’s called a “discovery” process will take place before any trial begins. Discovery in a wrongful death case can include “interrogatories,” (sets of questions from the attorneys) depositions (pre-trial interrogations taken under oath), and subpoenas demanding the production of evidence or testimony. Typically, there will also be a number of pre-trial motions and continuing out-of-court negotiations before a wrongful death case ever reaches a courtroom, and efforts to settle the case can continue right up to and even during the trial itself. In Southern California, surviving family members should be represented by a Pasadena personal injury attorney with substantial experience and success in both the negotiation and the trial aspects of wrongful death cases. If you unexpectedly lose someone you love because someone else was careless, you’ll have to face legal, financial, and personal issues – all at the worst possible time – but a good wrongful death lawyer can help. It’s imperative to launch a unjustified dying lawsuit as quickly as possible. In most California wrongful death cases, plaintiffs have two years from the date of the wrongful death to take legal action. In this state, families are entitled to file unjustified dying claims whenever reckless or negligent behavior is the cause of a family member’s death. Agony and heartache can be devastating after the sudden loss of a family member, and no amount of money will ease the pain, but your family’s future after a loved one’s death is a genuine concern and a necessary consideration. Wrongful death settlements can provide for families that would otherwise suffer financial hardship and help others to move ahead positively and constructively with their lives. Proving wrongful death cases in California involves assessing two fundamental issues. Number one would be fault, in other words, who’s to blame for causing the loss of a human life? In the law, that’s called liability. Number two is assessing the loss itself, the loss of the human life. In the law, we call that the damages. In talking about fault in a wrongful death case, it can range from the most simple cases, such as an automobile rear end collision, to those involving highly complex issues, such as a structural collapse, like a bridge collapsing, or a building collapsing, or something of that sort, in which case, the lawyer will need to engage a highly competent and specialized team of experts to assess liability, to assess who’s at fault. What caused the accident? What caused the loss of life? In turning to the issue of loss itself, or damages, the first and fundamental question has to be: “Are you even the proper client?” It may sound obvious, but for example, distant relatives don’t qualify, typically, in wrongful death cases as being the appropriate client. Even people who live together for many years but have not either married or registered themselves as a domestic couple may not be eligible either. Generally, what happens is the law follows the law of inheritance within the state. So the closest relatives, typically, are those who are the proper party to unjustified dying lawsuits, such as, of course, a spouse, children, etc. The other thing is that wrongful death cases are not always the same when it comes to damages. So some losses involve, for example, a spouse and a loved one who were extremely close and had a long, loving relationship. Another example, though, might be a spouse that was estranged, still married, yet really had no relationship with the decedent. So that has to be assessed as well in evaluating the loss, or the damages. So those are some of the fundamental questions that must be addressed in California when looking into a wrongful death claim. 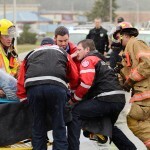 How Do You Know If You Can Sue For Personal Injury?